One of Northern Ireland’s leading IT businesses has joined with Ulster University to offer the IT engineers of the future the chance to develop their skills. Novosco Cloud Camp – an educational initiative by managed cloud provider Novosco – will run at the university’s Jordanstown Campus between 30th July and 3rd August 2018, and it is bigger and better than ever before. Free of charge and open to students aged 16-17 (on 30th July 2018) at schools and colleges across Northern Ireland, it will provide hands-on IT infrastructure experience, as well as a fun learning environment. 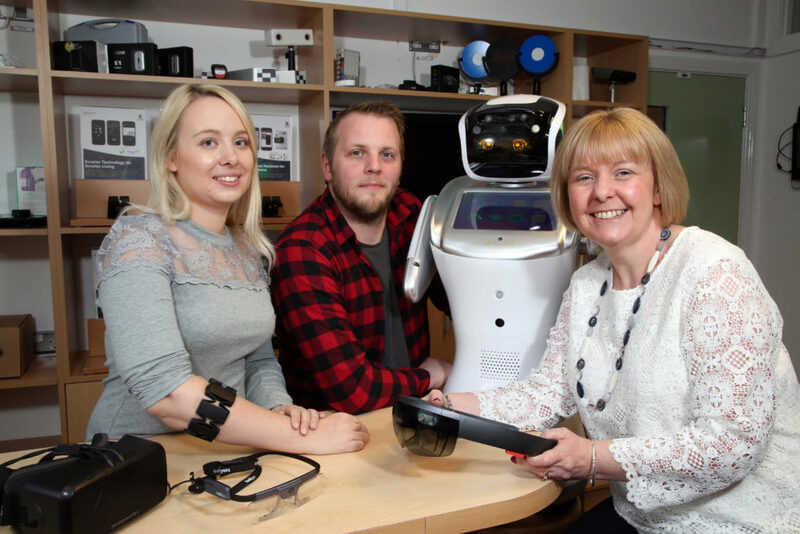 Part of the camp will take place in Ulster University’s smart environment labs, which include some of the latest smart technologies, as well as a state-of-the-art robot called Sandy. Professional IT engineers and Ulster University lecturers will facilitate the camp, which will also involve a tour of Novosco’s Catalyst Inc headquarters to allow students to see a world-class managed cloud company in action. 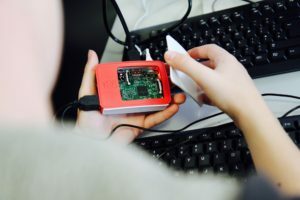 In addition to free registration, all participants will be provided with a free Raspberry Pi computer to keep, as well as a lunch voucher each day. There will also be complementary transport provided from Belfast city centre to the university. The camp will help students develop their skills in areas including hardware and operating systems, creating a virtual server, machine learning / artificial intelligence, machine vision and sensor technologies, cloud technologies and consider the ‘Internet of Things’. To mark its third year, the number of places on the camp this year has been increased by one-third. Novosco is a managed cloud provider with clients in the public, private and voluntary sectors across the UK and Ireland, including Premiership football teams, police forces, some of the UK’s largest health trusts and many of Northern Ireland’s top companies. Novosco employs over 180 people, mainly in Belfast. Ulster University’s smart environments include a smart kitchen, smart bedroom and smart living room, used to support investigations into the area of assistive technologies and activity recognition. In addition, a newly refurbished robotics laboratory is being used to investigate the development of autonomous robotics which could be used within home-based settings. To complement this, a set of 400 sensing nodes is currently available to be deployed in a smart environment covering a footprint of over 6,800 square feet. The university also has a multitude of mobile platforms and a recently installed mobile laboratory.